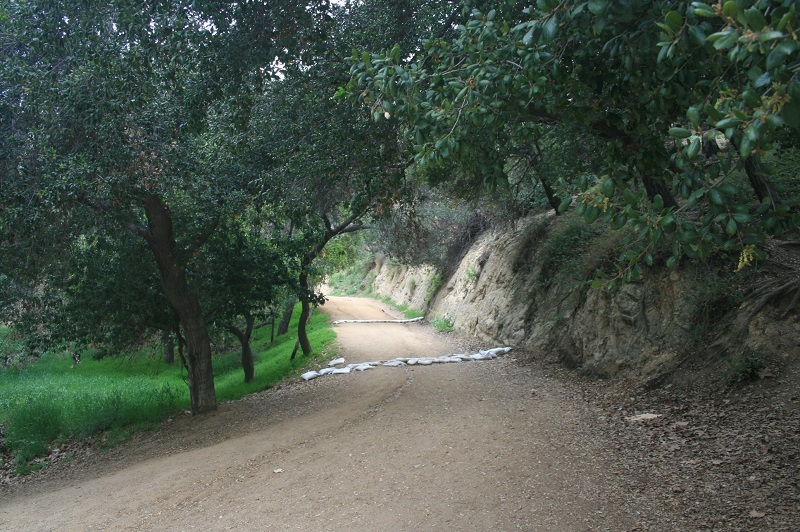 Location: North of the Greek Theatre on Vermont Canyon Road, Griffith Park. From I-5, take the Los Feliz Exit and head southwest (turn right if you’re coming from the north; left if from the south) for 1.3 miles. Turn right on Hillhurst, go 0.2 miles and turn right on Vermont. Go a total of 0.4 miles and turn left on Vista Del Valle (also signed as Boy Scout Road), by the golf course. The unsigned trail leads off from the right side of the road. From Highway 101, take the Hollywood Blvd. exit. Head east (turn left if you’re coming from the north; right if from the south) and go 0.4 miles. Turn left on Western, go 0.6 miles and turn right on Los Feliz. Go a mile and turn left on Vermont. Go a total of 0.7 miles (Vermont becomes Vermont Canyon) and turn left on Vista del Valle. 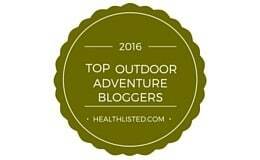 This hike traverses the south edge of Griffith Park, providing excellent views of downtown Los Angeles and beyond. 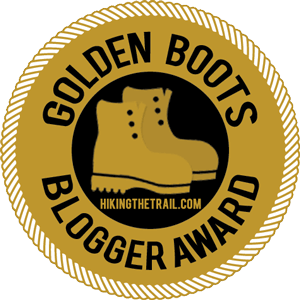 Obviously the views are best on clear days but even if visibility is poor, the hike is varied enough to be enjoyable and offers a solid workout that is convenient, free and dog-friendly. 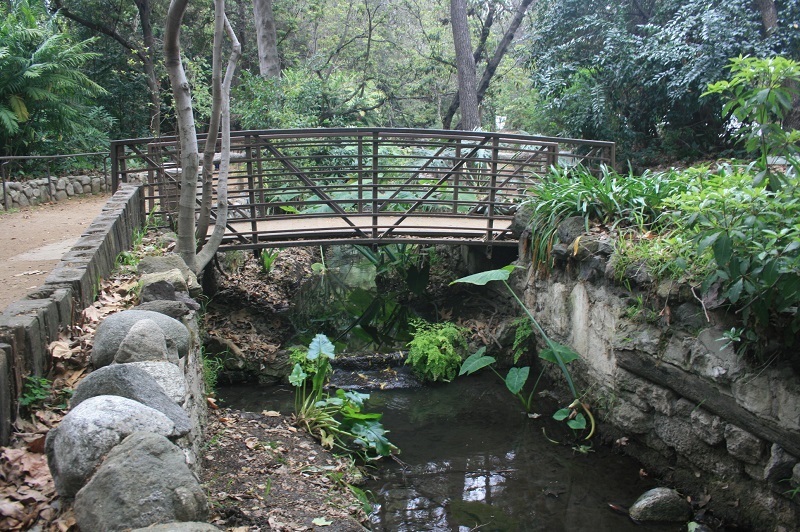 The destination is Ferndell Park, a quiet retreat in Griffith’s southwestern corner. 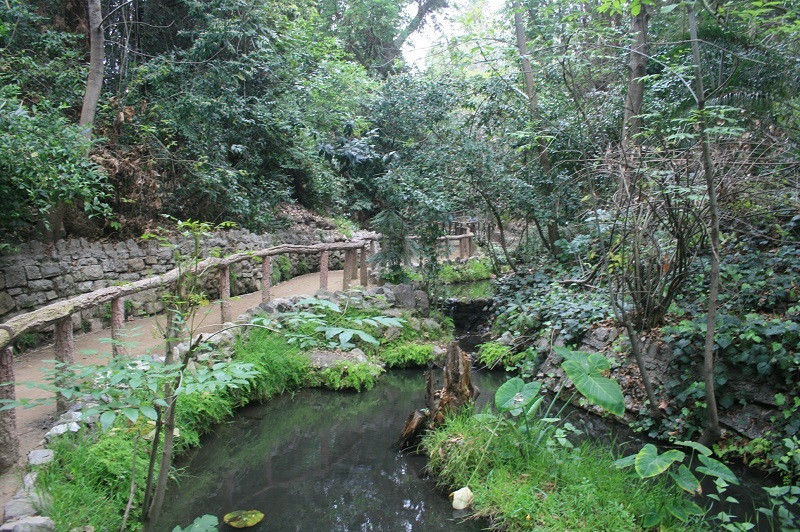 Though man made, the scenery is attractive and despite the noise of nearby traffic, it feels pleasantly secluded. 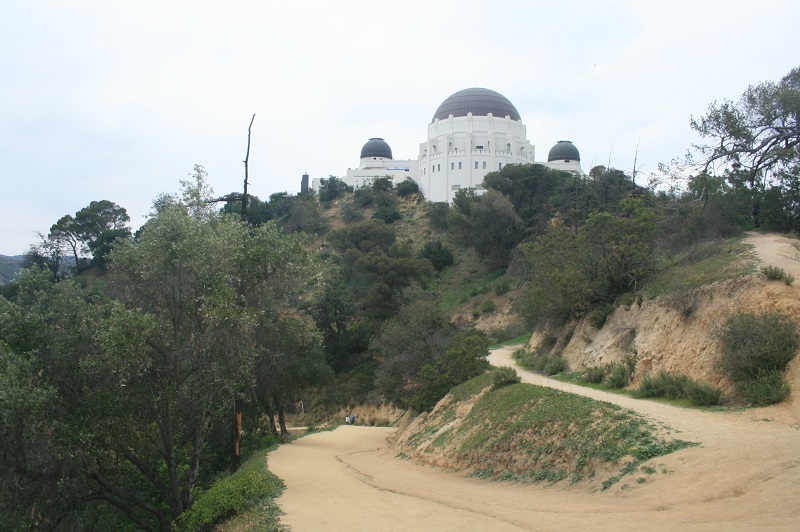 Along the way, you will enjoy views of the Griffith Observatory (reachable by a short detour), the Hollywood sign and more. 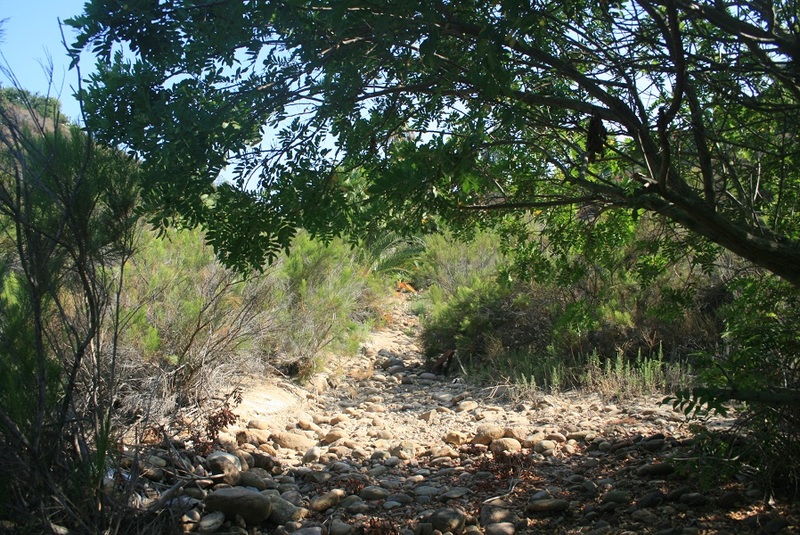 From Vista del Valle, follow the unsigned trail, a wide fire road, as it ascends steadily for a quarter mile. 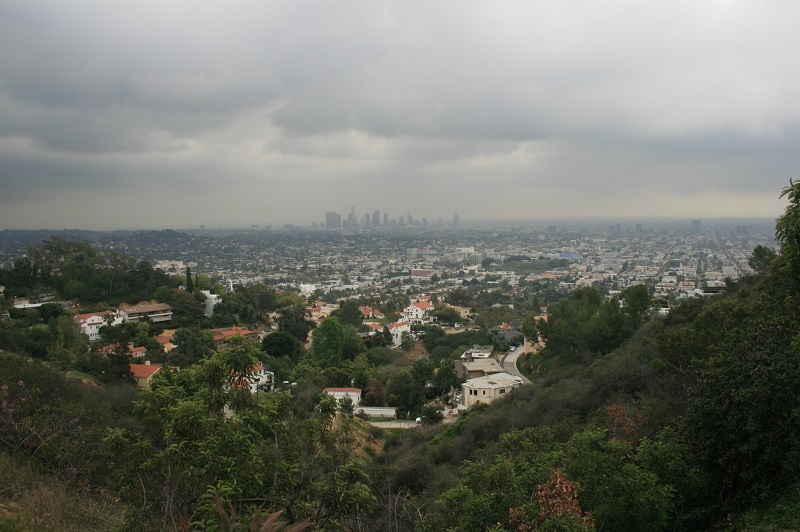 Soon you can see the dome of the Griffith Observatory and the L.A. city skyline to the left. The trail levels out, crossing a service road at 0.4 miles. You then ascend to a junction (0.6 miles) where a spur leads to the observatory should you want to visit. 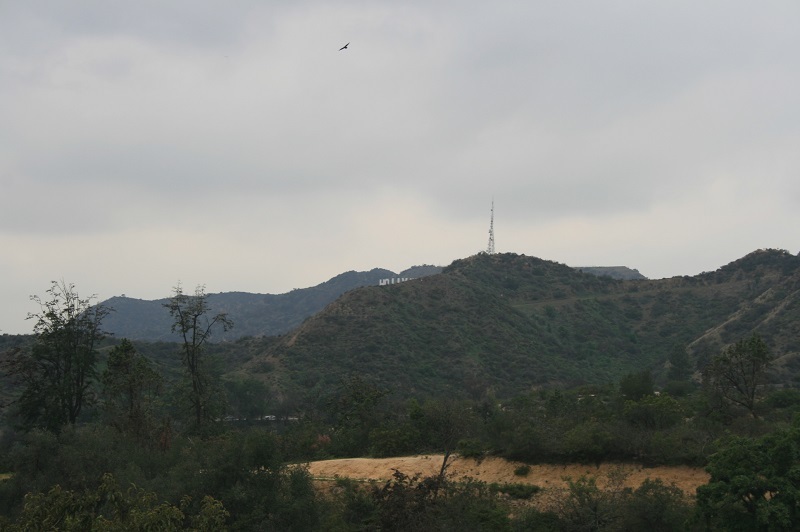 You can also enjoy a panoramic view from this spot, including the Hollywood Sign. Besides the trail to the observatory, three others leave from this spot. Use the middle one (not the level trail on the right or the steep, unofficial fire break on the left), which descends steadily, taking in views of the wooded Western Canyon area of the park. You reach a junction, 3/4 of a mile from the start, which is the beginning of the loop, consisting of the East and West Observatory Trails. The East is slightly shorter and more consistently graded, so you might want to use it heading out and the West heading back. 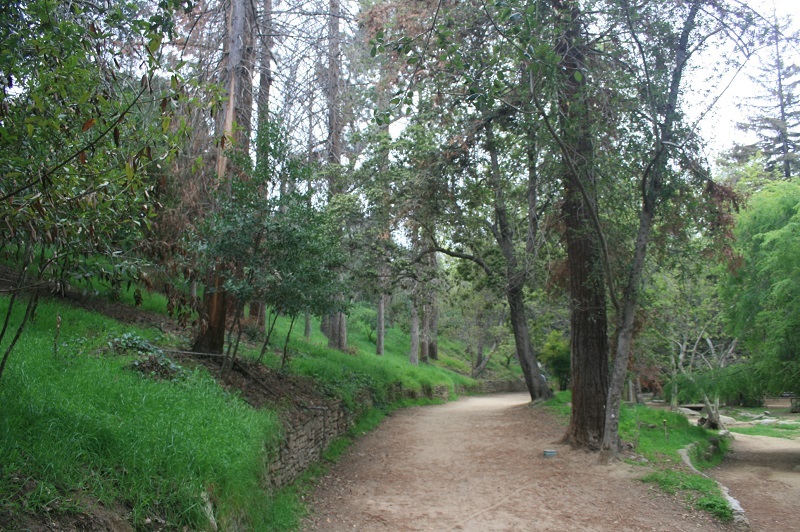 Assuming you use the East trail, you make a winding descent along the rim of the canyon, reaching the pleasantly shaded Ferndell picnic area at 1.2 miles; the West trail reconnects here. 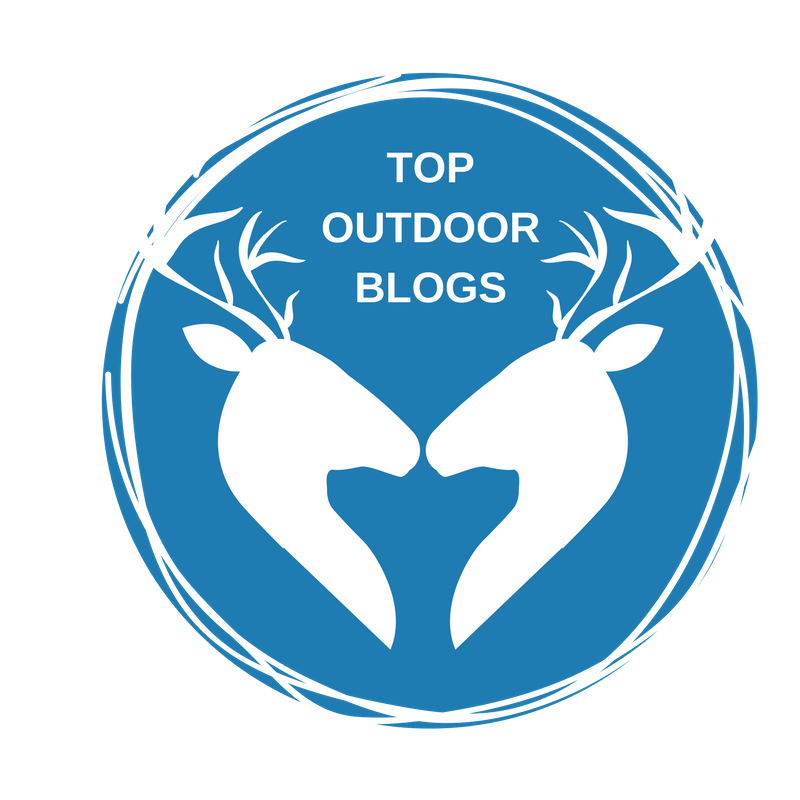 Pass the picnic area and look for a metal gate with an entrance to Ferndell Park, a narrow corridor in which the trail follows a seasonal stream beneath the shade of oaks, alders, sycamores and pines. 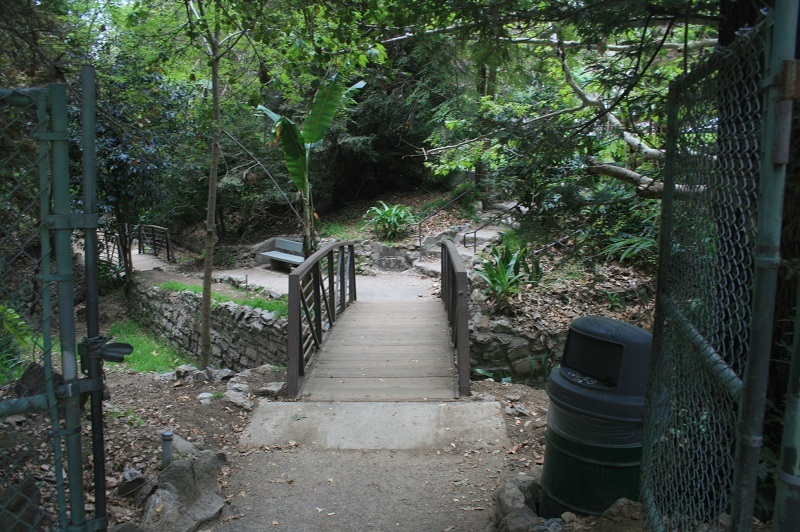 The trail goes under Ferndell Drive via a short tunnel and crosses the stream several times on footbridges. At 1.6 miles from the start, you reach the south entrance to Ferndell at Black Oak Drive, the turnaround point. 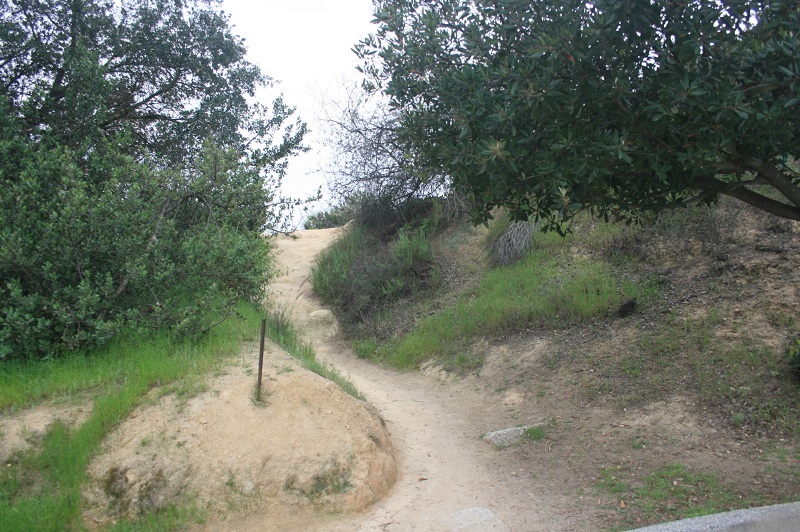 This spot can also serve as an alternate trail head, as can the Griffith Observatory itself, for those who want to do a shorter hike; keep in mind however that parking is most readily available at the eastern end, by the golf course.